The Wall Street bullies make money when money moves. Therefore these bullies have a vested interest in keeping you trading. Consequently 401(k) plans have been sold with many options to facilitate trading. By providing a more pension fund like plan employers will reduce employee anxiety and improve results. Investment Options and 401(k) PlansIyengar found the same phenomenon applies to investing in retirement plans. Many people don’t participate in their company 401(k) plans. She conducted a study and concluded that once variables like age, income and company were controlled, the biggest reason for a decline in 401(k) enrollment was the over-abundance of choices. When a 401(k) plan offered only two investment options, 75% of employees participated. When 59 investment options were available, however, the participation rate dropped to 61%. Expanding on this study, Iyengar examined the impact that more investment options had on the 401(k) participants’ asset allocation. For every additional 10 investment options available, the average 401(k) participant’s equity allocation fell by 3.28%. Some neglected equities altogether. This is significant because stocks usually generate better returns than bonds or cash over long periods. Lower equity allocations can be the difference between a well-funded retirement and a 401(k) plan that comes up short. The best alternative for employers is to offer a more pension fund like plan to their employees. By providing an age appropriate portfolio you will not only improve participation but also improve results. Please comment or call to discuss how this affects you and your investments. Loans in a 401(k) plan may be a double-edged sword. Employees are beginning to realize they cannot rely on public pension plans for retirement security. The 401(k) plan must become more of a pension fund like plan. The less decisions the employee has to make the greater the success. Remember your portfolio si like a bar of soap the more you touch it the smaller it gets. “Employers understand that financial wellness is more than what workers are doing today in terms of savings in their retirement programs—that it’s evaluating whether their long-term investment strategies are positioning them to be ready when it comes time to retire, and whether other priorities are getting in the way,” said Patti Balthazor Björk, director of Retirement Research at Aon Hewitt. “Helping workers get an accurate picture of their future needs and whether they are on track to meet those needs, and helping them create a roadmap for achieving those goals is paramount.”To help workers reach their retirement goals, employers continue to offer and promote the use of investment advisory tools. More than three-quarters (76 percent) currently offer target-date funds as a way to provide workers with a simple and straightforward approach to investing. Of those who do not offer target-date funds, 35 percent will likely add this option in 2013. Managed accounts and online third-party investment advisory services also continue to gain popularity (64 percent), up from just 40 percent in 2012. Employers are beginning to realize that their employees need help in reaching their long term financial goals. The 401(k) plan has become the sole source of retirement for most Americans. The need for a more pension fund like plan has never been greater than now. How Much Do You Need To Retire? Ask Your Employer. If an adviser will not agree in writing to be a fiduciary to you, run do not walk away. This is saying that their advice is in the brokers’ best interest not yours. These non fiduciary advisers will have a different product for every situation. You will be better served with a prudent portfolio and remain disciplined. There are three simple rules of investing own equities, globally diversify and rebalance. Conflicts-of-interest between financial advisors and their own clients remains a major problem in the financial services business since it costs investors billions and violates the fiduciary standard, according to author Chuck Epstein.“Conflicts-of-interest are common, especially in the mutual fund industry where fund companies pay investment professionals a fee, called revenue sharing, for recommending their own funds over a competitor’s,” Epstein said. He added that revenue sharing has been called “the primary source of conflicts-of-interest, which taints professional relationships between investment advisers and their clients.” As defined by the SEC, revenue sharing occurs when the investment adviser to a fund makes payments to a broker-dealer for expenses it incurs when selling the adviser’s funds. These payments are made to investment professionals, who sell funds to individuals and 401(k) plan participants. But in practice, revenue sharing is paid to advisers or 401(k) plans administrators based on how much they sell and how long an investor owns the funds. Since advisers receive revenue sharing payments regardless of fund performance, it can make it difficult for advisors who take revenue sharing payments to provide objective analysis, Epstein said. One way to minimize or eliminate the dangers of receiving investment advice tainted by conflicts-of-interest is by working with a Registered Investment Advisor (RIA). According to James Watkins III, JD, Certified Financial Planner®, AWMA® and owner of the blog, CommonSense InvestSense, “RIA firms are fiduciaries by law and, as such, are required by law to always put their clients’ interests first. 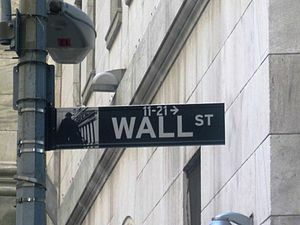 What many investors do not realize and are not told is that many stockbrokers, insurance agents and other financial advisers are not held to a fiduciary standard, which allows them, some would argue requires them, to put their own financial interests ahead of their clients’ best interests,” Watkins said. The Wall Street bullies need brokers and agents to sell their ‘products’.. Investors need conflict free advice to successfully reach their long term financial goals. Seeking the advice of a fiduciary adviser will help investors reach these goals. The Wall Street bullies will promote actively traded funds whenever possible. Not because it will help you earn a better return but because they will earn trading fees. Since the 401(k) plan has become the sole source of retirement for most Americans it should be offered more like a pension fund. Each employees will be automatically enrolled in an age appropriate portfolio. From there the employee can change their risk level. Studies have proven that less choice will result in better performance. The fiduciary duty of prudence requires plans and plan fiduciaries to always out the interests of the plan participants and their beneficiaries first. The duty of prudence consists of various responsibilities, including the duty to avoid unnecessary expenses and the duty to provide participants with a selection of investment options that allows them to minimize the risk of significant losses and “sufficient information to allow plan participants to make an informed decision.”I recently released a white paper on the Active Management Value Ratio, proprietary metric that allows investors and fiduciaries to analyze the cost efficiency of actively managed funds. The white paper clearly shows that a number of the leading mutual funds used by pension plans are not cost efficient, in some cases even reducing a plan participant’s return. It could be argued that such inefficiency could constitute a breach of fiduciary duty, clearly not a sign of a successful plan. Plans and their fiduciaries are required to provide plan participants with a sufficient selection of investment options to reduce the risk of large losses and sufficient information to evaluate such investment options and make informed investment decisions. In short, in most cases this simply is not happening. In most cases plans are primarily an assortment of expensive, highly correlated equity-based mutual funds that unnecessarily expose plans and plan fiduciaries to unlimited personal liability. 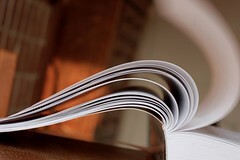 Furthermore, in many cases plans fail to provide plan participants with all of the information they need to make informed decisions, resulting in liability exposure for both the plan and its fiduciaries. Many plans and plan fiduciaries mistakenly believe that they do not face any personal liability by virtue of their mistaken belief that they have complied with ERISA Section 404(c). However, Fred Reish, one of the nation’s leading ERISA attorneys, has testified that over his twenty plus years of ERISA practice, he has never seen a plan properly comply with all of Section 404(c)’s requirements. Consequently, there are a lot of plans and plan fiduciaries that do not realize the risk exposure that they actually have. The Wall Street bullies have convinced everyone that they know what’s best for your 401(k) plan and your employees. These bullies do not have your best interest in mind. Is There a “Mini-Me” ERISA Section 3(38) Investment Manager? Most investors believe that the Wall Street bullies can predict the future. The Wall Street bullies know investors make their investment decisions based on emotions and not logic. Investors need to control their emotions to succeed long term in reaching their financial goals. This can not be done on your own. You need to fire your broker and hire an investor coach. Most people in these plans have no idea how to manage them. That’s why your employer should help you. After all, there’s no point in providing employees with this benefit if you don’t help them get the most out of it. It’s like giving your son or daughter a car and never ensuring that they know how to drive safely. Most 401(k) accounts crash before reaching their destination. The Pension Protection Act of 2006 allows plan sponsors to automatically enroll their employees in age appropriate managed portfolios. This single feature will improve performance results and reduce fiduciary risks. Making the 401(k) plan more like a pension plan will be very attractive to current and prospective employees. For the 401(k) plan to succeed as the sole source of retirement for most Americans it must become more pension fund like. People are ill prepared to manage their own portfolios. They tend to make emotional decsions, based on what they hear and see in the media. To succeed in managing a retirement portfolio requires a prudent strategy and discipline. A successful poretfolio will own equities, globally diversify and rebalance. Have well-managed underlying investments. It requires good mutual funds that have performed well through market ups and downs relative to their peers in the same asset class, and a fund manager has been with the fund through these ups and downs and has managed the fund in accordance with the parameters of its prospectus. Only offer portfolios that are diversified across several asset classes. Retirement investors need to protect their nest eggs with investments that span multiple asset classes so that, when one class experiences volatility, the retirement portfolio can glean stability from the other asset classes. Offer several portfolios in order to provide appropriate options for all employees. Help employees to select the appropriate managed portfolio based on the individual investor’s risk tolerance, timeline to retirement, retirement goals and personal preferences. This shouldn’t be a guessing situation. Your employer or the financial services company providing the portfolios should provide a questionnaire that helps you pinpoint the appropriate portfolio for your current needs. Not add significant expenses because another layer of management is being used. You can expect to pay for an additional service like managed portfolios or advice, but costs should be reasonable. Managed portfolios are not strictly a set-it-and-forget it option. There’s no such thing, and you should be leery of anyone who tells you otherwise. Investors’ goals and timelines change. Your tolerance for risk could even change. It stands to reason that investors in a 401(k) plan with managed portfolios could need to move through several portfolios over the course of a working career. Your work doesn’t end there. Now and always, regardless of industry developments, employees should periodically check in on their 401(k) plan ratings—try Brightscope.com. Keep tabs to ensure your employer is providing a good plan. If managed portfolios are a trend that continues to grow, some lower quality options could pop up. Employers need to be vigilant in ensuring they offer managed portfolios that are well managed and appropriate. Due diligence will continue to be important so employers fulfill fiduciary duties. This one change will allow more of your employees successfully retire. The 401(k) plan was designed as a supplement to a pension plan, it has become the sole source of retirement for most Americans. Plan sponsors should treat their plan more like a pension plan. Is your retirement plan right for your small business? For the 401(k) plan to succeed it must look more like a pension plan and less like a casino. Plan sponsors need to provide the proper fiduciary oversight to offer a retirement plan which will lead to successful retirements. This oversight should include service providers willing to serve as ERISA 3(38) Investment Managers in writing. If improvements are not made soon the 401(k) plan could become the next “Obamacare”. This decision gives plaintiffs the opportunity to proceed with their case. It is not a finding of wrongdoing by Ameriprise. Nevertheless, it is illustrative of the cavalier attitude of plan sponsors. They are supposed to act as fiduciaries to plan participants by selecting investment options that are in the best interest of the participants. In my opinion, any plan that does not offer globally diversified portfolios of low management fee index funds should be deemed to violate this duty. Until the Courts adopt that position, lawyers will go after the low hanging fruit, and attack only the most egregious violations. The Ameriprise case fits well into this category. It’s worse because it involves a large player in the advisory business placing its own interests above those of its employees. The industry is so rife with greed that it eats its own. This is another reason the 401(k) plans provided by brokerage firms and insurance companies do not benefit the plan participants and their beneficiaries. We need a more pension fund like plan with providers willing to serve as ERISA 3(38) Investments Managers in writing. Please comment or call to discuss how this affects you and your retirement. Money Watch: Pay to have your 401(k) managed? No matter how loyal you are to you employer and no matter how well your company stock has performed in the past do not put all your ‘eggs’ in one basket. No one can predict the future and the unexpected can happen at anytime. If something happens to your employer and most or all your retirement account is in the company stock, you would not only lose your job bit also your retirement account. Don’t do it. As hard as times are for investors in Best Buy’s shares, far grimmer is the plight of the 110,000 employees participating in the company’s approximately $1 billion 401(k) plan. Not only do they have to worry about possibly losing their jobs if the company can’t right itself, their so-called retirement plan is heavily invested (17%) in company stock. Assuming the company stock in the plan has lost half its value this year, employee retirement assets have likely taken a near 9% hit. Average account balances of around $9,000 have plummeted to around $8,000, it seems. With nest eggs this puny, they’ll be lucky to spend their golden years eating at the Golden Arches.To add insult to injury, Best Buy’s 401(k) participants have been paying over a million a year to financial advisors involved in the design and administration of an optimal retirement plan for them—firms such as Aon Hewitt and JP Morgan. Clearly, it was foreseeable to these professionals, as well as the company sponsor, that a heavy concentration of plan assets invested in company stock could be disastrous. Nevertheless, the decision was made to offer company stock as an investment option in the define contribution plan and the percentage allocated to it, not surprising, mushroomed to imprudent levels. Please comment or call to discuss how this affect you and your company. No one can be sure how this case will be resolved. What I do know is that plan sponsors have a fiduciary duty to provide a retirement plan for the sole benefit of their employees. The new disclosure rules will make it very difficult to provide a plan at no cost to the employer. 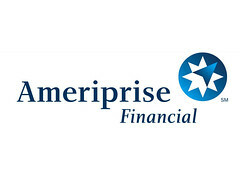 A federal judge has refused to dismiss a lawsuit in which employees of Ameriprise Financial Inc. accuse it of loading up the company 401(k) plan with its own expensive, underperforming mutual funds and charging employees excessive fees.U.S. 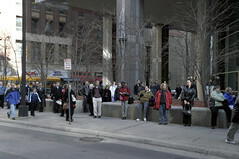 District Judge Susan Richard Nelson in St. Paul noted that the plaintiffs “plausibly allege that the defendants selected Ameriprise-affiliated funds to benefit themselves at the expense of plan participants.” In her order filed Tuesday, the judge let stand seven counts, ranging from failure to monitor fiduciaries, to prohibited transactions and excessive record-keeping fees. One count of unjust enrichment was dismissed. The plaintiffs — seven current and former Ameriprise employees in the Twin Cities — are seeking class-action status, and the outcome of the case could potentially affect more than 14,000 participants in the company’s $1 billion 401(k) plan. A judgment against Minneapolis-based Ameriprise would be a black eye for the country’s largest employer of certified financial planners. Plan sponsors need to verify that their 401(k) plan is for the sole benefit of the plan participants and their beneficiaries. Even if plan participants read the vast amount of details plan providers have published on fees they will continue to be underserved. Most plans provide a high number of fund choices with little direction and guidance. 401(k) plans need to be designed to look more like a pension plan to be effective in reaching their goal fo a successful retirement. Arranging the right mix of investments in the right amount and adjusting for your personal risk tolerance requires basic knowledge of modern portfolio theory — a set of market maxims and principles that must be carefully applied. And to get the best results, the investments that you buy as a result must be carefully monitored and tweaked, or fundamentally shifted, as you go along.Ask the advisor about the calculation for your retirement resources. Basically, here’s how that works: If you invest x amount a year for x number of years and receive an average return of x and inflation is x, then as of x date you’ll likely have about x dollars a year that you can take out of your investment accounts. How much money you’ll have and need henceforth depends on a number of market and personal factors, including how long you’ll live. Look at your current plan contributions to see whether you’re on track. Chances are, you’re not. This calculation is no easy business, but with the right advice, you can make a stab at it. Plan sponsors need to require their plan adviser to educate their employees individually or in groups. The 401(k) plan must become more of a pension fund like plan in order for employees to succeed in reaching their retirement goals. Please comment or call to discuss how this affects you and your 401(k) plan.